After a steady torrent of piercing taunts from a broad spectrum of Nigerians, Akunyili was compelled to see the folly of her campaign and to discontinue it. Now, NOA’s Director General, Dr. Garba Abari, is reviving the quixotic anti-Naija campaign that Akunyili abandoned years ago. He told the News Agency of Nigeria (NAN) on February 21 that the news media, schools, and parents should insist that Nigeria be called “Nigeria,” not “Naija.” “That the more we use these misnomers referring to our country, the fallout of it is that, a significant percentage of our younger ones will not even remember that Nigeria is the original name of our country,” he said. Dr. Abari is an accomplished political science professor whose intellectual temperaments are nurtured by the critical social scientific scholarly tradition. I have tremendous respect for his scholarship and his keen insights into political economy. But I totally disagree with his renewed crusade against “Naija.” There at least three reasons why he should quit this futile, intellectually impoverished campaign forthwith. 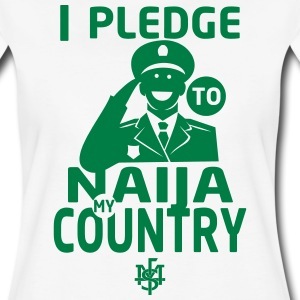 I can give more examples, but the point I want to make is that the intentional phonological contortion of the name of a country by its citizens for humorous, emotional, or socio-linguistic reasons isn’t unique to Nigeria. Nor is it disrespectful. And it certainly isn’t something to get bent out of shape about. Second, as I pointed out in my April 19, 2014 column titled, “Republic of Songhai Formerly Known as Nigeria,” the name “Nigeria,” which Abari—and Akunyili before him—want to protect and preserve, is a product of outmoded, nineteenth-century European obsession with race and skin color. River Niger, the longest and most important river in Nigeria from which our country’s name is derived, is named after our skin color. Why should we in the 21st century still be stuck with a name that has fallen into disrepute and that, in the first place, invidiously and needlessly calls attention to our skin color? If we must name our country after the longest river in our land, why not adopt one or all of its local names? Yoruba people call Rive Niger “Oya,” the Baatonu people call it “Kora,” Hausa people call it “Kwara,” Igbo people call it “Orimiri,” etc. I’m aware, though, that adopting any local name for Nigeria might ignite unwarranted ethnic jealousies. So why not rename it after an ancient African polity like Songhai— on the model of Ghana, Mali, etc.? In a March 20, 2016 column titled, “Why Nigeria Can’t Pronounce ‘Nigeria’ Correctly,” I wrote: “When it came time to name the polity that British colonizers cobbled together, they decided to name it ‘Niger area,’ in honor of River Niger. ‘Niger area’ was later shortened to ‘Nigeria.’ In essence, Nigeria means ‘dark area.’ With such a name, is it any wonder that constant, reliable electricity has eluded Nigeria since independence? We are writhing under a primal appellative curse! This leads me to the third reason why the campaign for the lexical preservation of “Nigeria” is misguided. Most Nigerians can’t even correctly pronounce “Nigeria,” which is a testament to its foreignness—and the unnaturalness of its phonological properties in Nigeria’s socio-linguistic universe. In a March 31, 2013 article titled, “More Words Nigerians Commonly Mispronounce,” I wrote: “It is perhaps the biggest irony of our ‘nationhood’ that almost no Nigerian pronounces the name of our country ‘correctly.’ Last year, I’d planned to write an article on the imperative to change Nigeria’s name to something other than Nigeria, and part of the argument I wanted to advance was that the name ‘Nigeria’ is so foreign to us that almost no Nigerian pronounces it correctly….